It's the first day of the work week, and you receive your class schedule and class list. First, you glance down the list of new family members you'll be meeting and teaching hoping that the magic number stays below 20. (in a perfect teaching world, right?). Then comes the schedule. Eek! 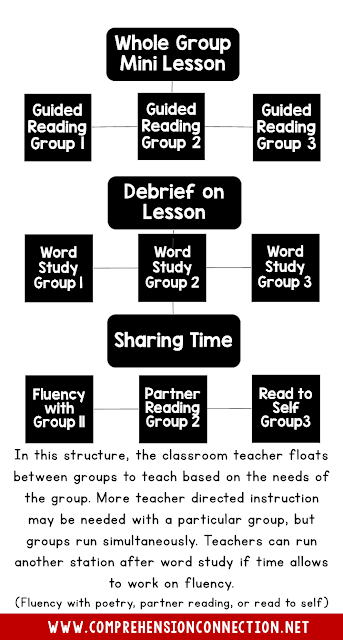 You have a two hour literacy block and you have to fit in...whole group, small group, word study, grammar, and writing. Say what? Can it be done? Well, let's look at making the most of a very tight schedule. Revisions are the icing on top of the cake. Without revising, you just get a plain cake. Revising allows you to add rich words, improve your sentences, and add detail. This is what gives your paper it's unique flavor like a yummy piece of cake. Once I have completed my writing block, I move into the reading block. If you find that you need additional writing time, you can also include writing as a station when you are working with small groups IF you follow a rotation schedule. Note- I also encourage writing throughout my lessons in all other areas. Writing deepens comprehension of concepts and allows practice with composing sentences, using vocabulary, and grammar. At the end of the day, no schedule is perfect. There are so many factors that can make or break a schedule, but as in life, you have to just work to find the best working situation. 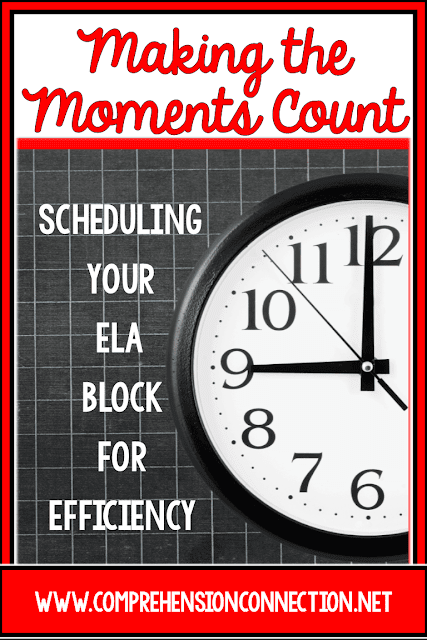 Keep the focus on meaningful instruction, and the time slots will not be as big of an issue as we think. 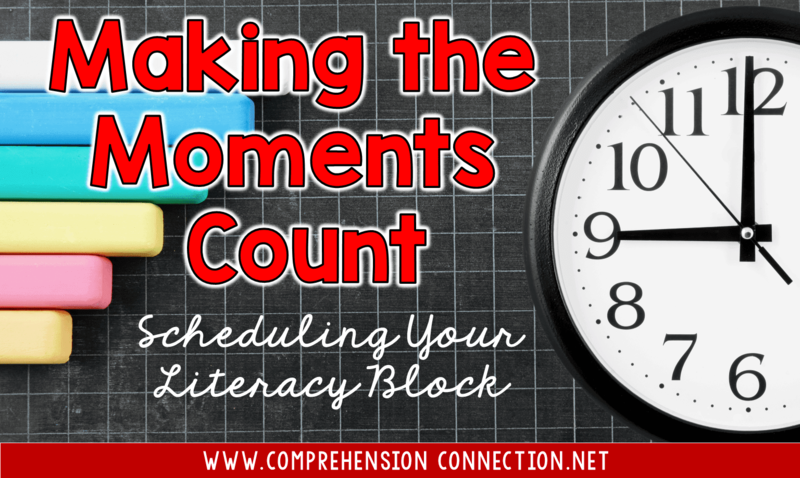 If you have small chunks of time, make the most of them by using them to practice fluency, review concepts previously taught, and by all means, reading to your students. Reading aloud to your students models fluency rates, phrasing, and expression. It grows vocabulary, and allows you the opportunity to THINK ALOUD comprehension of the text. Scheduling is not easy, so if you have questions, I am glad to help you. In the meantime, remember to keep the main thing the main thing and keep your kids moving along the reading continuum.